Captains of industry whose vision helped create this country built castles on Long Island’s Gold Coast in the early 20th century. These sprawling estates, which often served as summer getaways, are symbols of a time of innovation and abundance. Over the past century, some of the buildings have been preserved while others have crumbled. 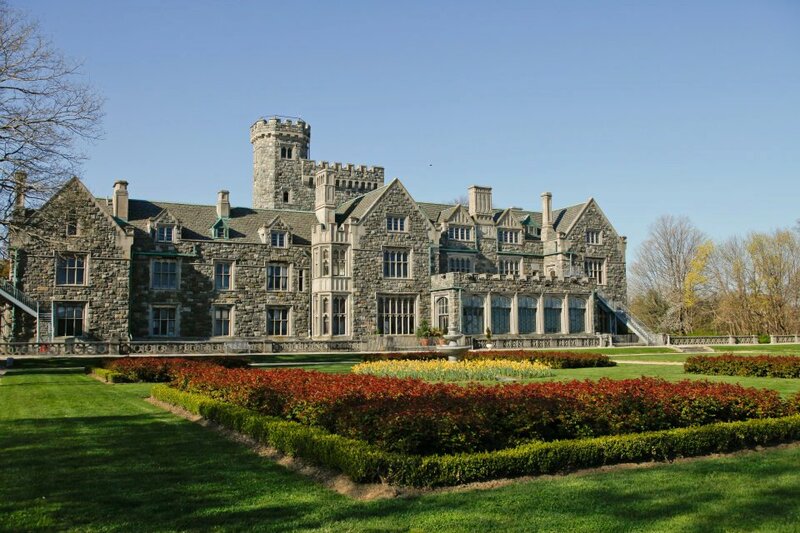 The Hempstead House, the Guggenheim’s 50,000 square-foot English tudor, is a quintessential Gold Coast estate. But it is in desperate need of repair, without which it may be lost forever. Sands Point, the 216-acre property where Hempstead House is located, was originally owned by Howard Gould, son of industrialist Jay Gould, who sold it to Daniel and Florence Guggenheim in 1917. In its heyday, Hempstead House was a breeding ground for cultural innovation. The Guggenheims, patrons of the arts and aeronautics, hosted many great figures of American history, from Charles Lindbergh to Madeline Albright to Frank Lloyd Wright. But after Daniel’s death in 1930, the future of Hempstead House was never secure. The US Navy acquired it as a training site in 1946, and then it was taken over by Nassau County in 1971. In order to preserve the history that unfolded on these grounds, Sands Point Managing Director Beth Horn believes Hempstead House must be restored. 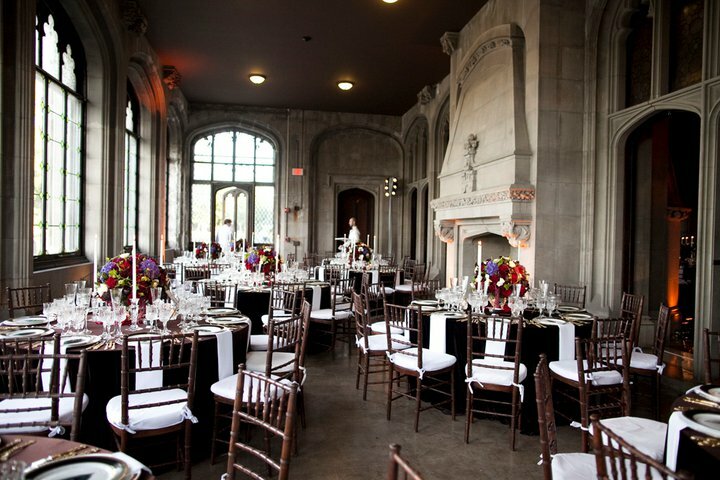 Built in 1912 by renowned architects Hunt and Hunt, the 40 rooms are accented with mahogany and hand carved stone, and the ceiling in the foyer is 60 feet high. “Stepping into Hempstead House feels like stepping into another time,” said Horn. Hempstead House is not only historically, culturally and architecturally significant: it is also crucial to the overall functioning of the Sands Point Preserve. The Preserve hosts seasonal celebrations, winter concerts, nature walks and educational programs for the community. Most of this revenue comes from rentals. Film crews rent the space for movie shoots, and it’s also available for private and corporate events. But for this to continue, the house has to be in decent condition. Unlike Falaise, Harry Guggenheim’s mansion on the property, Hempstead House has not been maintained over the years. The preserve recently secured a grant to repair the window lintels, but after the crew began work, they concluded that repairs would be much more extensive than initially thought. Not only the windows, but the roof and the many dormers, all need to be fixed. “There have been other mansions on the North Shore that have been torn down, and we would hate for that to happen,” said Horn. Friends of the Sands Point Preserve are not the only ones who are set on saving the Hempstead House. Glenn and Sharyn Bradford, who have a high-end jewelry shop in Port Washington, spearhead “Shop for a Cause” to support more than a dozen worthy charities. 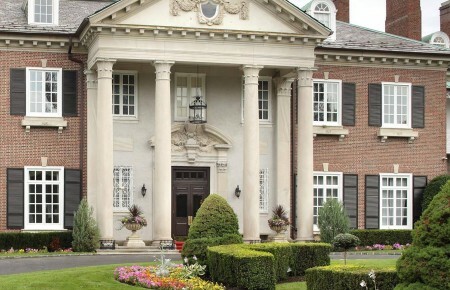 When they worked with the Friends of the Sands Point Preserve, they felt immediately connected to Hempstead House. “The vast part of what I do is to preserve my clients’ history and heritage, ” said Glenn Bradford. He invites his clients to bring in their entire jewelry box, and he helps them reimagine outdated objects from generations past. “This is a philanthropic marriage made in heaven,” he said. 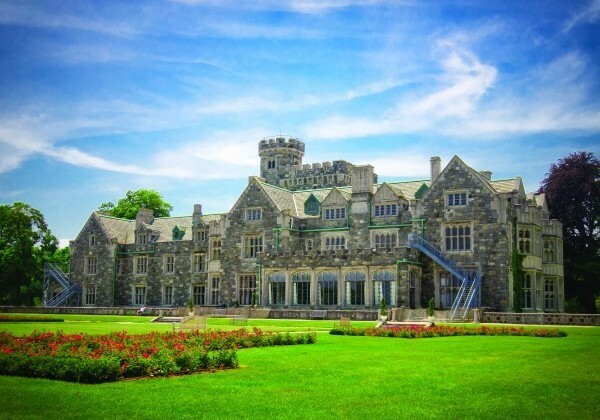 Now the Bradfords have teamed up with Friends of the Sands Point Preserve and Atelier Swarovski in the quest to save Hempstead House. 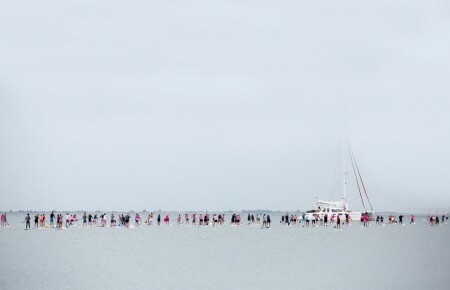 Together, these organizations will launch the “Shop for a Cause” benefit at the Sands Point Preserve from Nov 19-22, which will bring people onto the property to celebrate art, fashion, music and philanthropy in proper Guggenheim fashion. Legendary fashion icon Iris Apfel will be the honoree and hostess of the opening night gala on November 19. 94-year-old Apfel, who was the subject of Albert Maysles’ 2014 documentary Iris, has brought color and creativity to the fashion world for many decades. Old World Weavers, the company she began with her husband in the 1950s, was hired to redecorate the White House for nine US presidents. Because of her impact on high society and fashion, it’s only fitting that she should host such a grand event. Throughout the weekend there will be Gatsby themed poetry readings, music, art, food, and drink. Speakers will lecture on history, design, and art. “We always had a grand vision of bringing the arts under one roof,” said Sharyn Bradford. “It’s about raising money for the Hempstead House, but also enjoying what the Hempstead House used to be.” The mission of Friends of the Sands Point Preserve used to be to maintain the park and to offer public programming. But since the dire state of the house has been revealed, a new mission has become clear: Saving Hempstead House.